Fabric stamping one of my favorite ways to create a fabric with a special touch. For a crafty minds it’s a really good fun! Its easy, quick and effective. 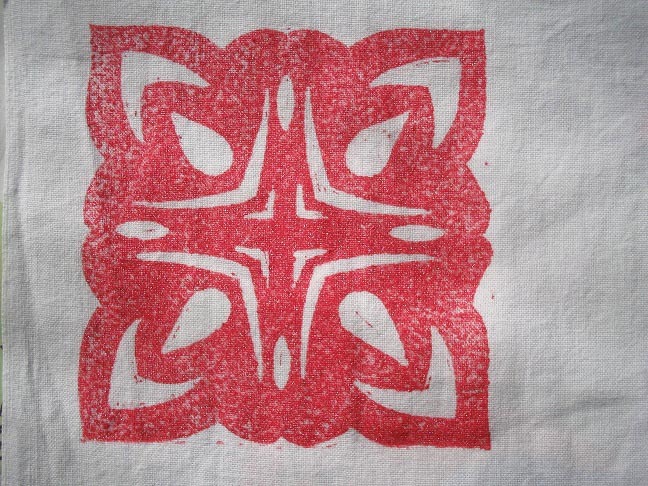 For a fabric stamping you can use different materials for example most accessible and probably everybody have it at home is a potato, very good for creating organic style pattens, an eraser, a tree twigs, a foil,a pencils basically what ever comes to your mind you can use as a stamp. 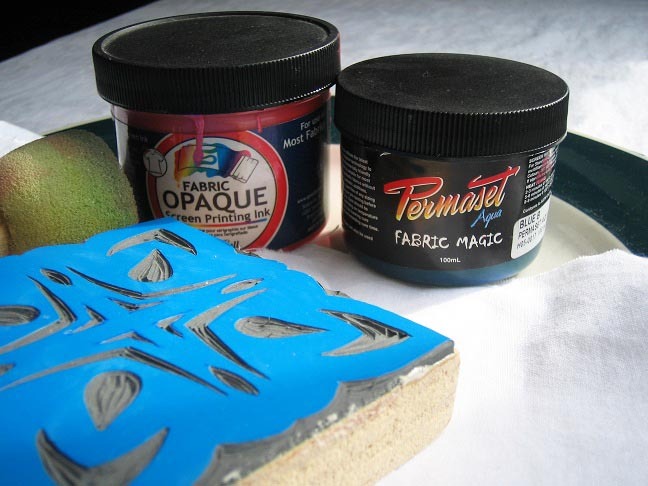 In this tutorial I want to show how to make a stamp out of linoleum or lino what most people call this material. I am not a teacher so please excuse me if it’s not very clearly written hopefully the images will help my text, but if you struggle let me know and I will try to explain better. 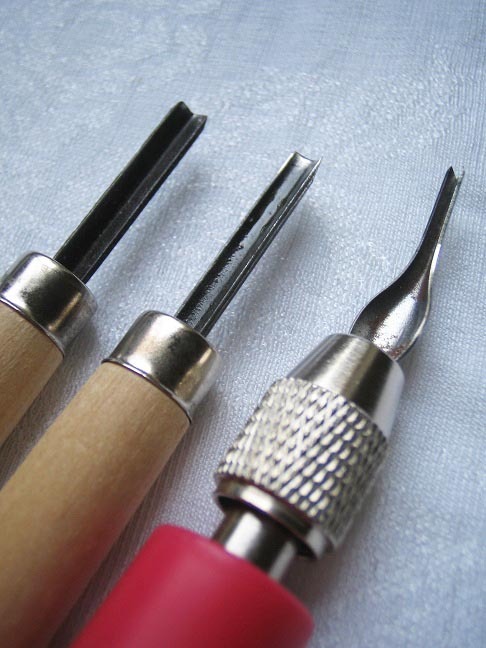 Carving tools are sharp; keep your face away from tools. Alway carve away from your body. Wear an apron while printing. 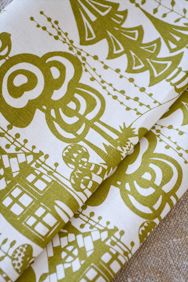 If you are printing at home take care of your carpet – ink will stay on it forever! If first stamp will not be a success don’t give up, but try again you will work it out! 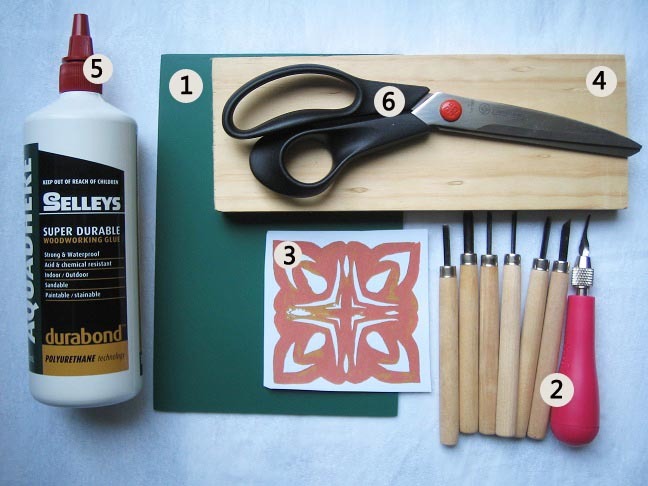 To create a stamp you will need a piece of lino (1) (linoleum) choose a soft one for your first project any craft store should have it, lino carving instruments (2) that can be purchased in an art supplies store, the design itself or a drawing (3), a piece of wooden board (4) that will be used as a base for your stamp, a glue (5), a scissors, a sheet of carbon paper for transferring your design to the lino, and someone to supervise you. 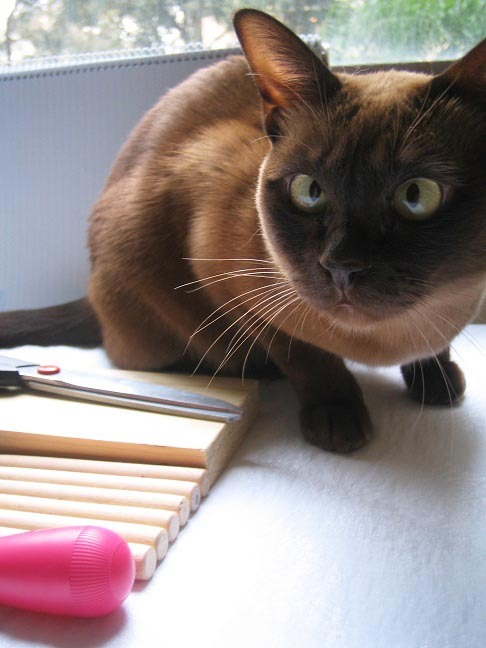 Let me introduce you my supervisor Alex, none of my jobs are done without her sharp eyes and curious nose. She is the best! 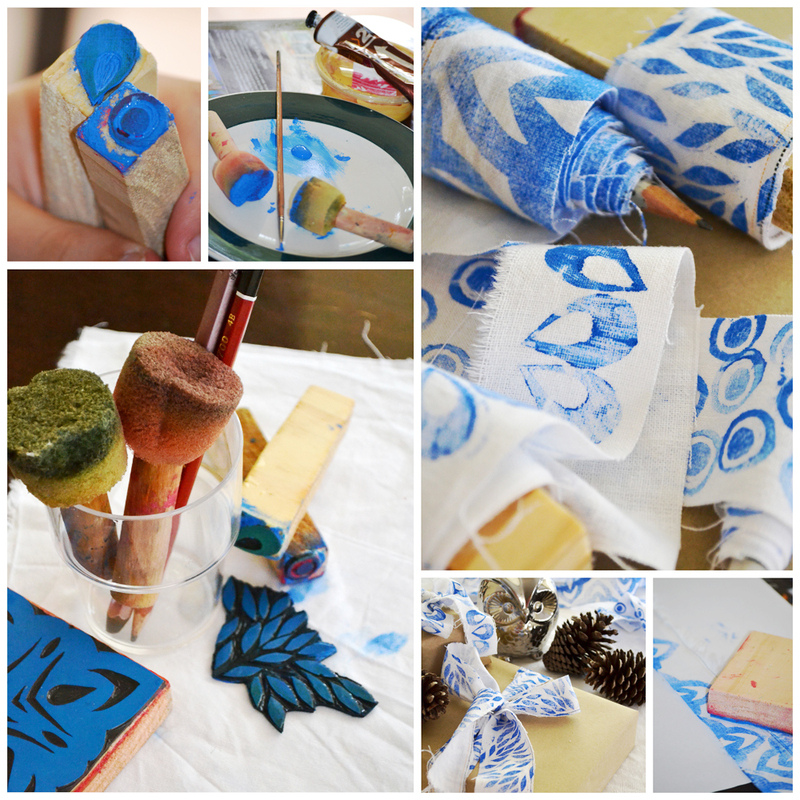 Start with a simple design or drawing that you want to create a stamp with, something that will not take a long time to cut. 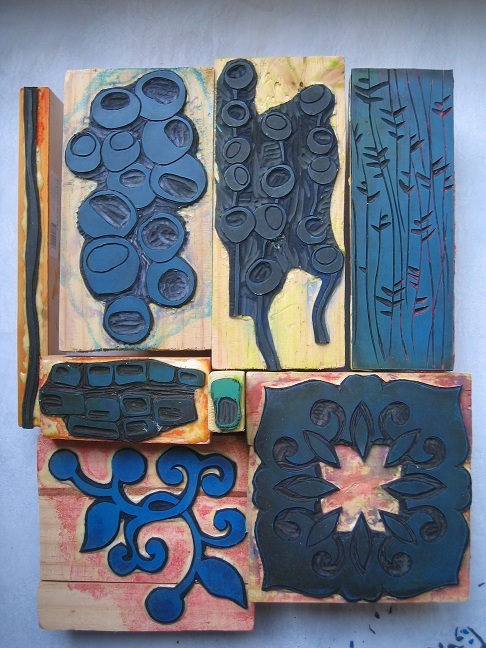 Layout your design on the linoleum economically, that way that you have some lino left for your next project. 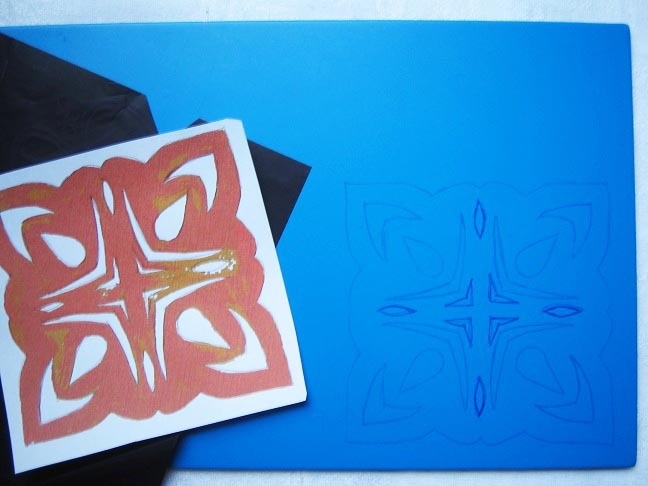 Transfer your design to lino (I use carbon paper), if some lines haven’t transferred properly finish them by hand with a pen. 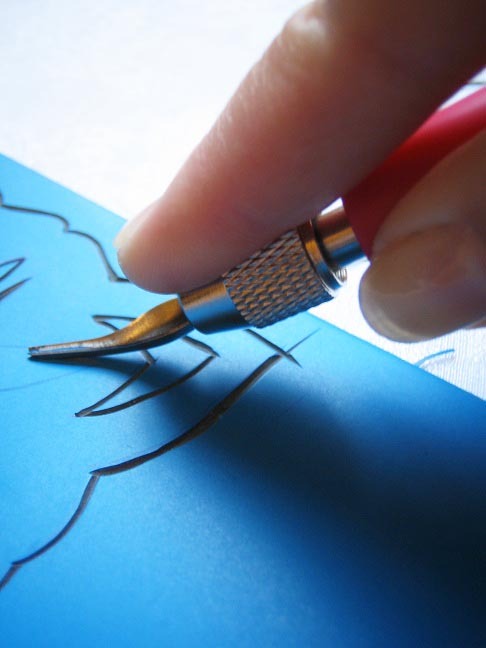 You don’t need to do this step, you can just simply hand draw your design directly on to lino. Now you will need your cutting tools. 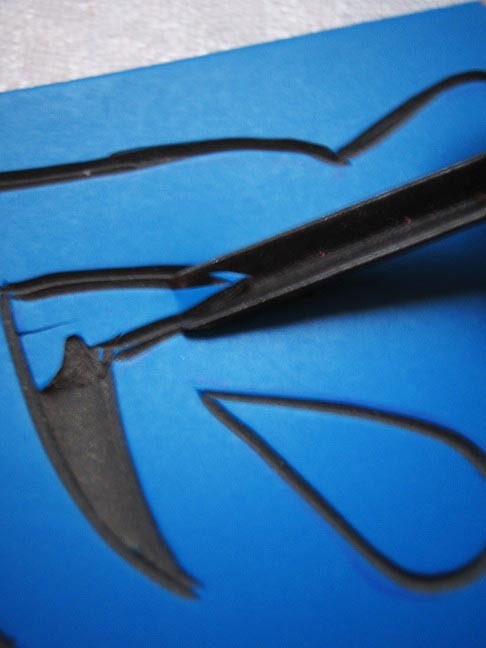 Begin to cut the main lines, sort of like tracing them but with a tool, for this is better to use the cutting knife with finest nozzle. When cutting hold your arm at an angle of approximately 45 degrees. 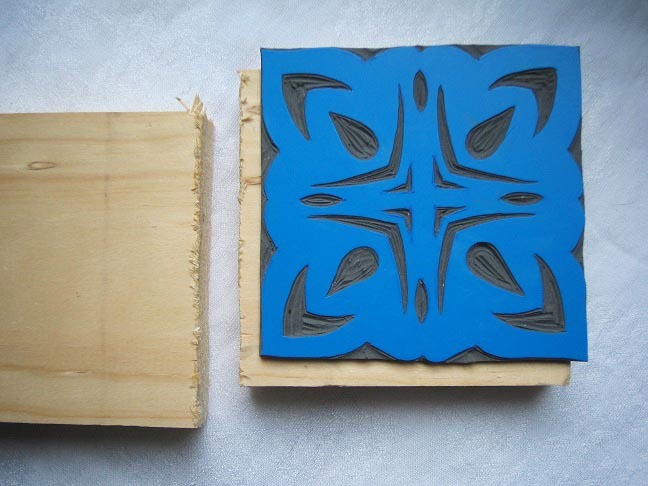 It is advisable to practice on a blank piece of lino before you start carving your stamp. Slow down on bends but do not let go, if needed use your other hand to rotate the lino. Try to carve out from the narrow end to the wide one , from the edges to the middle: controlling your movements. 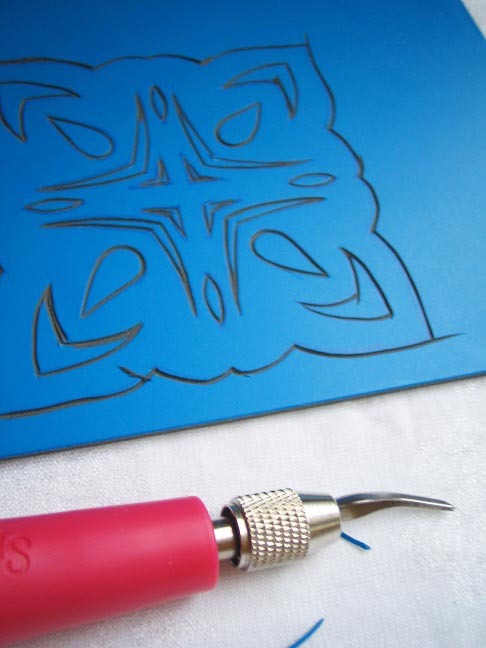 After the main lines have been carved, we need to clean the unwanted parts of the design, those parts that should be empty when stamping, for this procedure you can use other tools with a wider blades. It’s all been carved and excess lino been trimmed around the edges, it’s time to glue. I can say that gluing base is not necessary step, but to me it’s preferable because the output is much better and more accurate, you will be able to hold your stamp more comfortably. 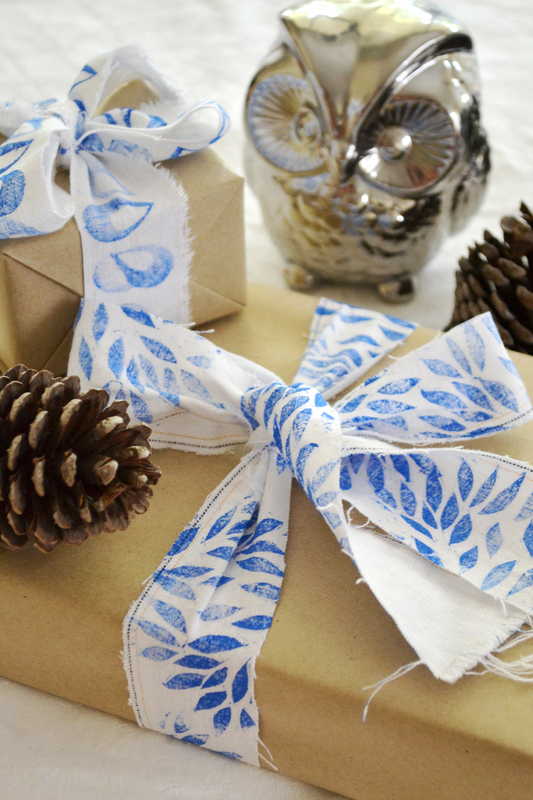 Those who chose not to glue – you’re ready to stamp. For gluing is better to use a waterproof glue, so that upon contact with water its does not dissolve. You can buy a special glue for woodwork. Follow the instructions on the package to glue the lino and wood together. You might need to wait few hours for the finished result. Test stamp is very easy! 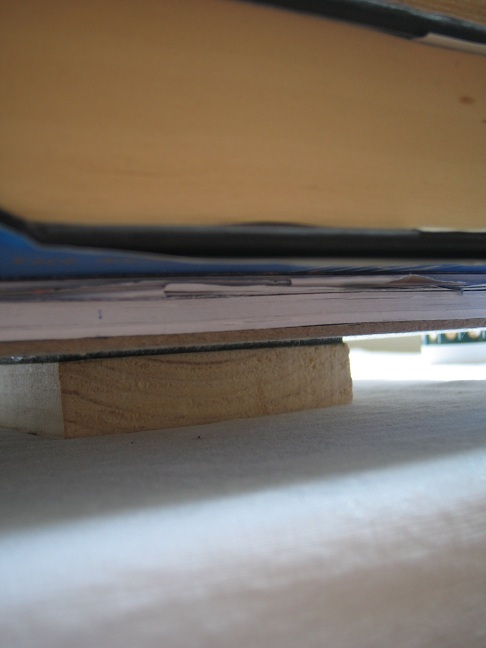 Lay your testing piece of fabric flat on a flat surface. 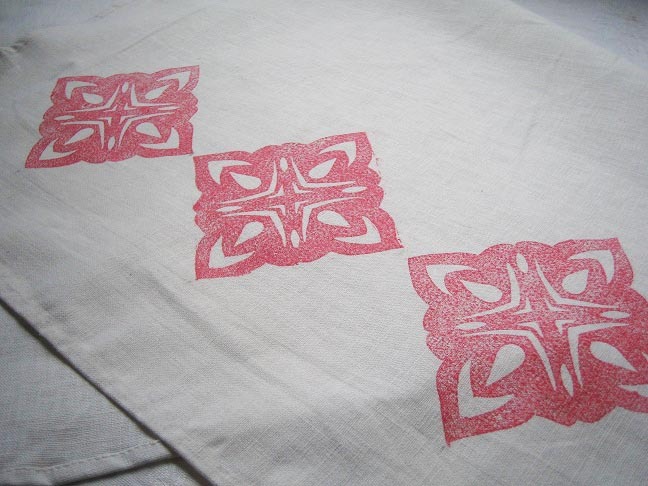 Apply ink on a stamp with even layer and press stamp on to testing piece of fabric, making sure to distribute pressure evenly all over the stamp.If you see flaws and you are unhappy with the results of your stamp printing you can go few steps back and carve stamp to perfection with your tools. I hand to carve a bit more. If you are happy what you see you are ready for the fun part! 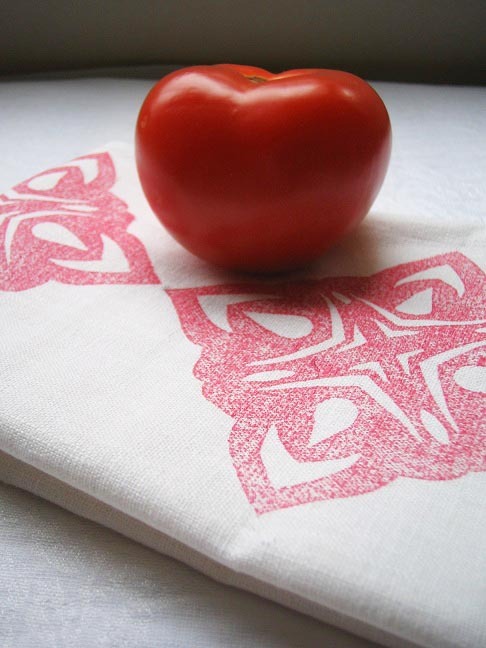 For the final step I have chosen a linen towel to print, you can also use a tote bag, a tea towel, pieces of fabric to use it in further projects or paper is a fantastic for stamping as well, different texture papers creates interesting results. 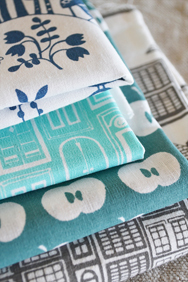 Set up you work space comfortably, lay fabric (bag, towel, napkin) flat, use something to mark up your repeat (areas where stamps will be pressed, you may sketch your layout on paper for visual reference) apply ink on a stamp and start stamping. 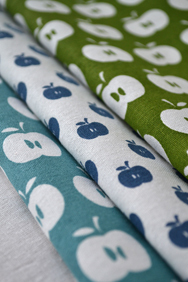 You can print in many colours as you like, just wash stamp and dry before printing next colour. Iron your prints with hot iron for securing the results.